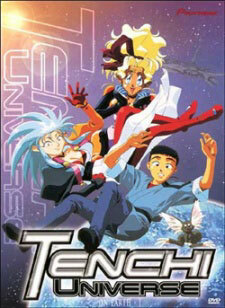 Watch Tenchi Universe Episode 13 English version online and free episodes. Anime Episode guide, Chapter Tenchi Universe Episode 13 English dubbed The Eye of the Destroyer The bond between Tenchi and the girls has held them together through all of Yugi’s games, but now she plans to start getting serious- by visiting the Masaki house in person! But while the little girl projection of Yugi plays happily with Sasami, Yugi’s true form is enjoying a game of a quite different kind, as she hunts down and attacks the other girls! Can they hope to make a stand against Yugi’s overwhelming power?